Although the university has canceled activities through the weekend, the Catholic Newman Center will continue to hold regular Sunday Mass at 8 p.m. at Morris Chapel for anyone who feels safe to attend. 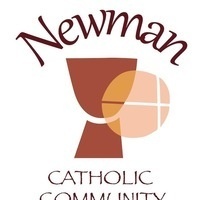 The Newman Catholic Community Mass is held on campus in Morris Chapel each Sunday evening at 8 p.m. during the academic year. Newman’s Mass is student focused with the goal of engaging and empowering college students to understand and share the Gospel in their lives.